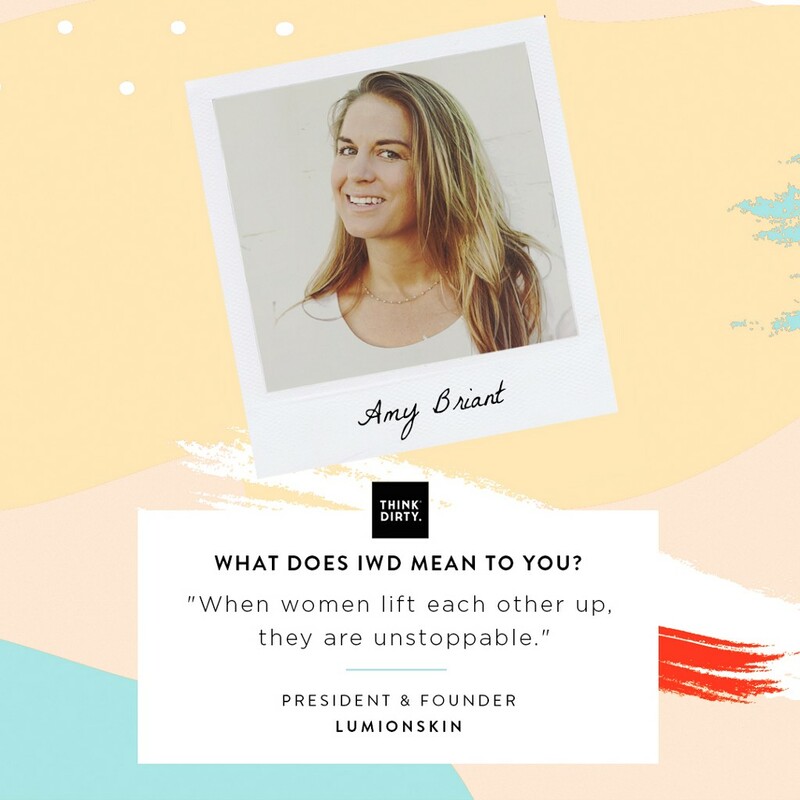 As a female-founded and female-run company, we are so proud to support other female founders and CEOs. 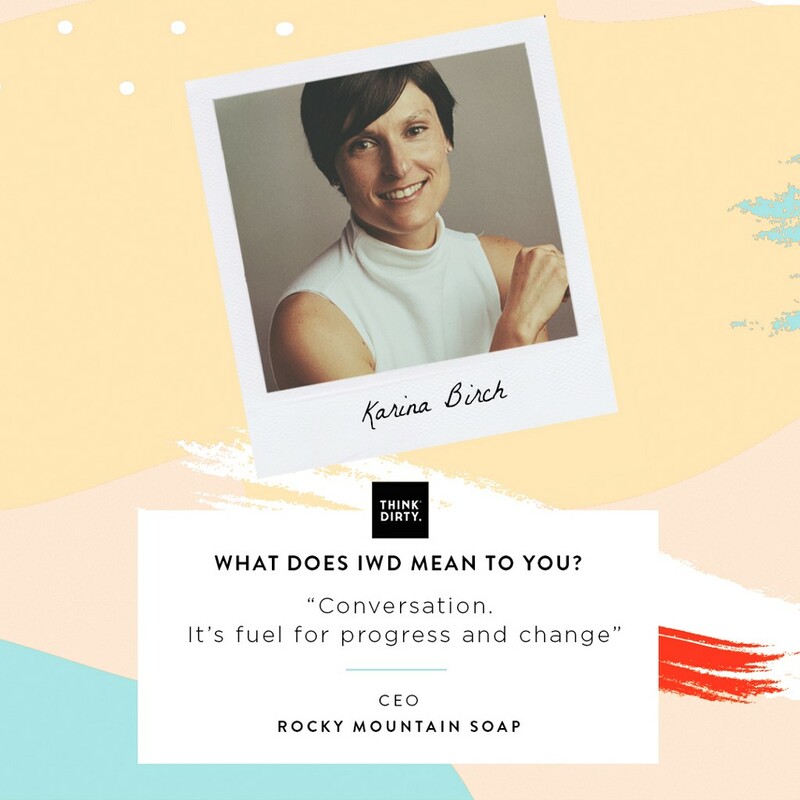 For International Women’s Day this year, we wanted to showcase some of the wonderful women who run amazing clean brands and share our vision of female empowerment and healthy living. Please share your founding story and what inspired you to start your business. What is the one accomplishment you are most proud of? I dealt with pesky skin issues (acne + various sensitivities) ever since my teenage years and tried all sorts of medications (topical and internal) to help “fix” my skin. 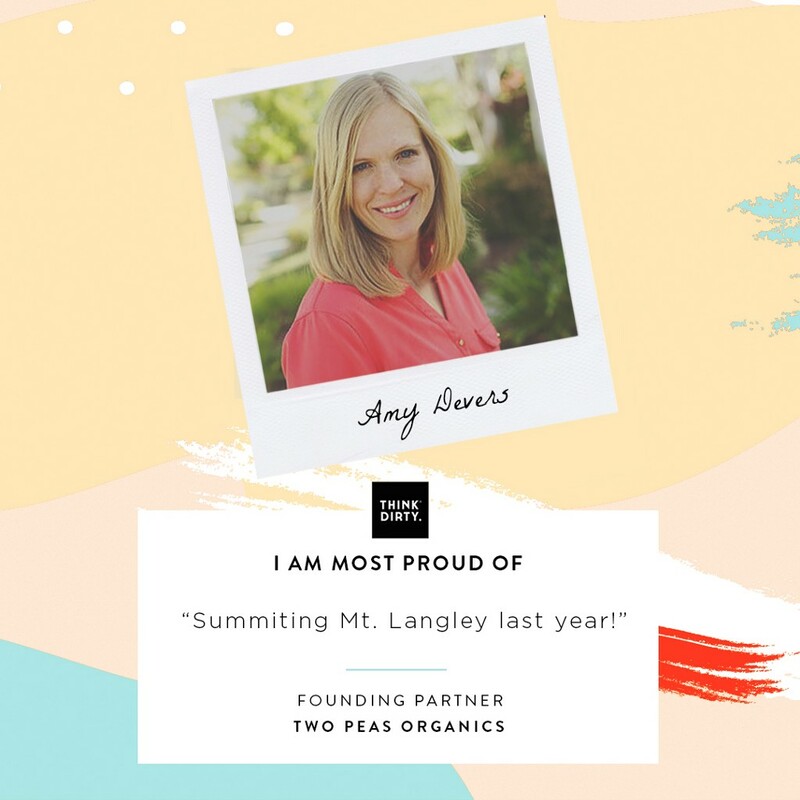 When I eventually found healing through diet, lifestyle and natural carrier oils + essential oils, I began mixing up concoction after concoction and began sharing them with friends + family. After a lot of encouragement to start sharing my products with a wider audience, I began selling them on my family farm’s website and eventually grew Primally Pure into a business of its own. It’s truly a magical thing when we as women allow ourselves to be inspired and motivated by one another, instead of feeling discouraged by those who we perceive to be more successful or further along. I’ve been inspired by SO many incredible women over the years and hope to be a source of inspiration to others as well! Primally Pure is a company that does everything from marketing to customer service to hand-making and shipping our products all in-house. I’m proud to employ 25 incredible individuals (20 of which are women) who all play an important piece in helping PP to succeed. 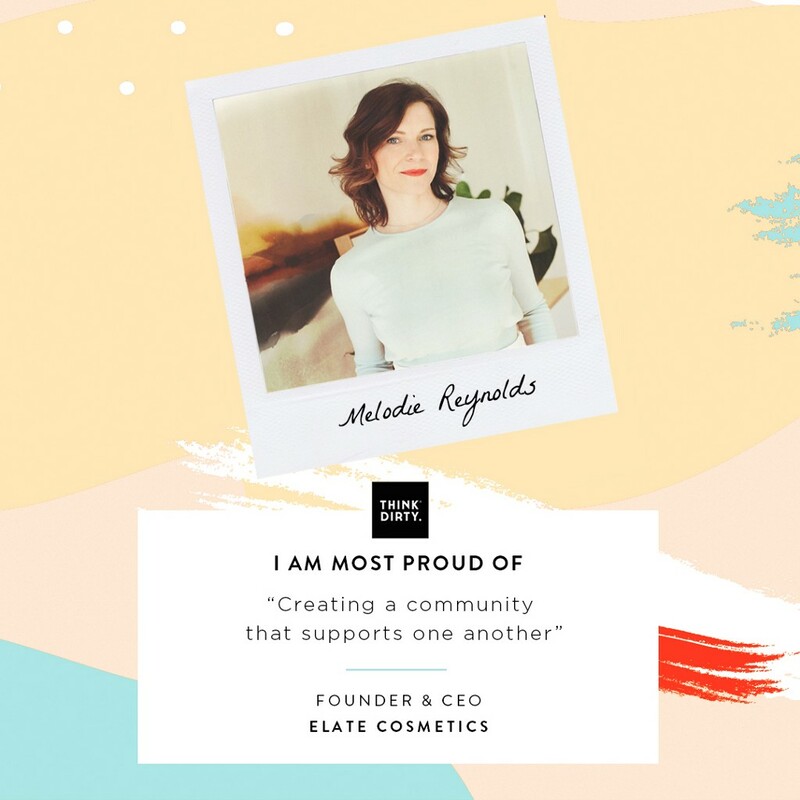 Elate was born from a desire to do better. Healthy products, with the best performance and sustainable practices and packaging. A reminder to everyone to be kind, nurture innovation and creativity, rise up to challenges, and help others do the same. Creating a community that supports one another, and helps the world! 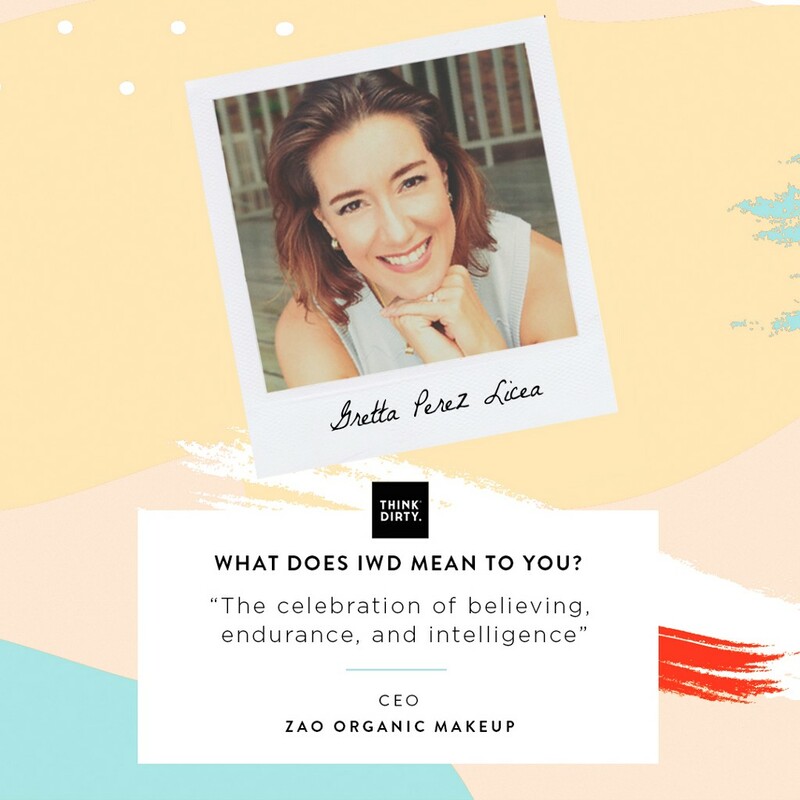 Zao Organic Makeup was founded by David Reccole with the goal of creating a brand that would celebrate the environment and powerful natural ingredients. I became the distributor for Zao in North America and Mexico in 2013. I was inspired to work with Zao due to my own extreme allergies to chemical makeup. It means the celebration of believing, endurance, intelligence and high capacity to become successful. I am most proud of the unity and what my family means to me. Our mantra is: Look Good. Feel Good. Do Good. 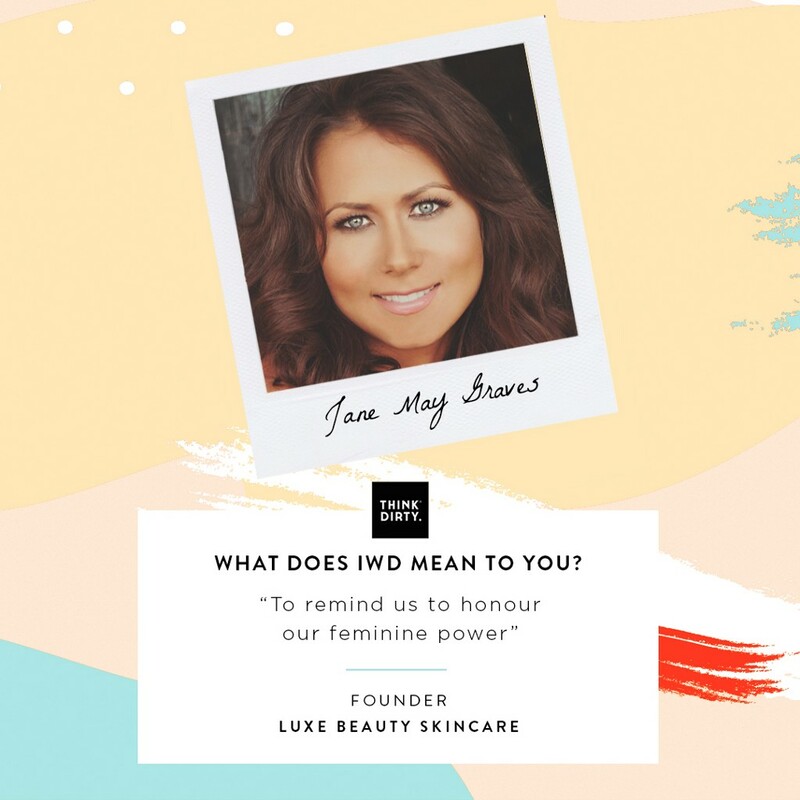 I was inspired to create a line of clean, sustainable and clinically-proven beauty & wellness products as I believe that clean beauty is not a trend but a health issue and a movement that will continue. Also, as our name, DNA, and active ingredients are marine-based, I wanted to draw attention to the state of the oceans and make a positive contribution through our partnership with Oceana. It’s a day to celebrate women’s achievements and to remind us of the importance of women’s contribution to society and humankind. It’s also a day to inspire young women and girls, who are our future. 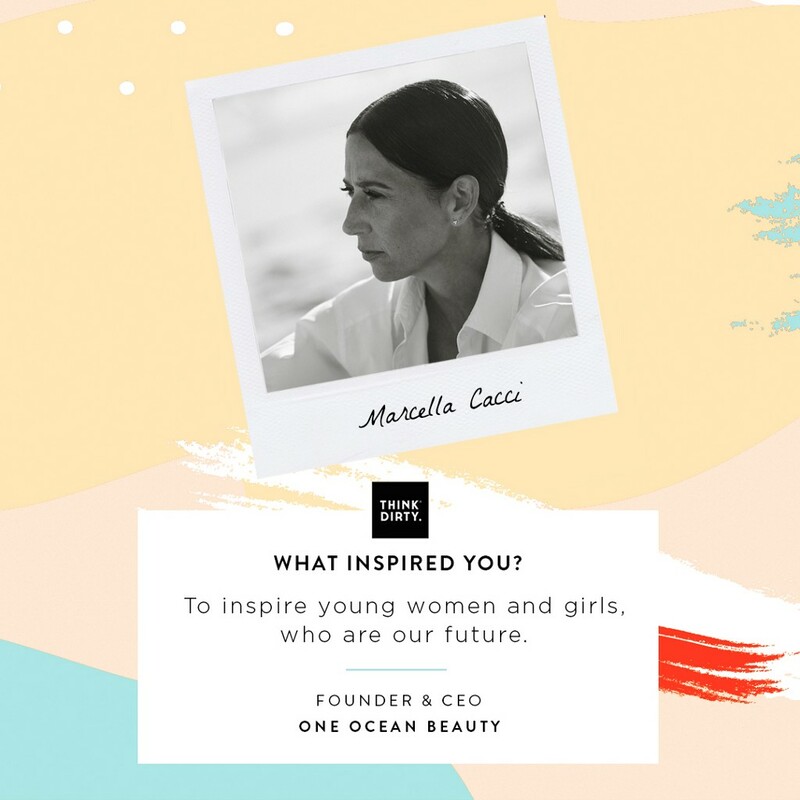 Developing and launching One Ocean Beauty, which is a socially-conscious, modern beauty company and spreading awareness about the importance of clean beauty and the plight of the oceans. It shows how much progress women have made to bring balance to our society. Our great God states we are all created equal and nothing more reflects balance than a level playing field as it relates to all aspects in our daily lives! Biossance was founded on the idea that skincare should be less toxic to the skin and yet even more effective. A no compromise approach to skincare. At Biossance, we believe in this sustainable journey and that it is the way of the future. To me, International Women’s Day is an opportunity to recognize how far women have come, how many incredible women have paved the way for us, and yet how far we still have to go. One day, I hope there will be no need for an International Women’s Day at all because every day will be one of equality and equal opportunity for women. 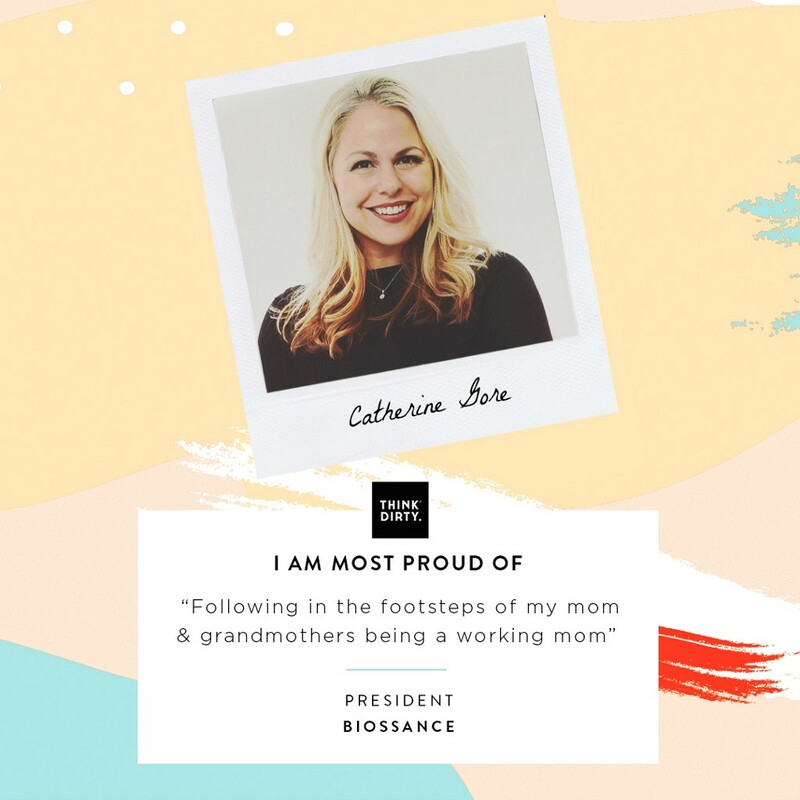 I am most proud of following in the footsteps of my mom and grandmothers which means being a working mom and at the same time developing a set of core values for my kids that will hopefully help them grow into compassionate, kind souls for the world. In January of 2000, I purchased a small soap start-up with my husband with the passion to create natural products. I believe natural is where luxury meets comfort. A short trip from the earth, becomes an enriching experience for your skin. Beauty products that are simple and effortless. Conversation. It’s is a chance to enter into conversations around the globe on the impact and issues women have. It’s fuel for progress and change. Creating a strong leadership culture at Rocky. I’ve written a book that we use for our internal leadership development. Luxe Beauty was born from my vision of after my mother was diagnosed with Stage 4 Cancer. My mother’s diagnosis awakened me to the importance of avoiding toxic personal care products. The skincare offerings in the market fell short of my expectations and desires. Therefore, I felt inspired and driven to create a new kind of skincare. This day is to remind us to honour our feminine power. To nurture ourselves to unleash our inner bliss, and to recognize our limitless potential. Helping my mother beat cancer holistically. I own pilates studios and after spending so much time around sweat, my skin started to suffer. My father was working with this amazing formula and told me to give it a try. After a few days of use my skin had cleared up and I knew I needed to share it with the world. So LUMIONskin was born. I believe when women work together to lift each other up they are unstoppable. We should celebrate each other everyday. Knowing that I help women everyday to feel more confident in their own skin. By removing toxic chemicals from our diet and home, we overcame illnesses and diagnoses deemed unrecoverable by doctors. One of the most crucial elements of healing was removing harmful cleaners, pesticides and synthetic fragrances from the home, so we created a safe and effective non-toxic alternative for cleaning! 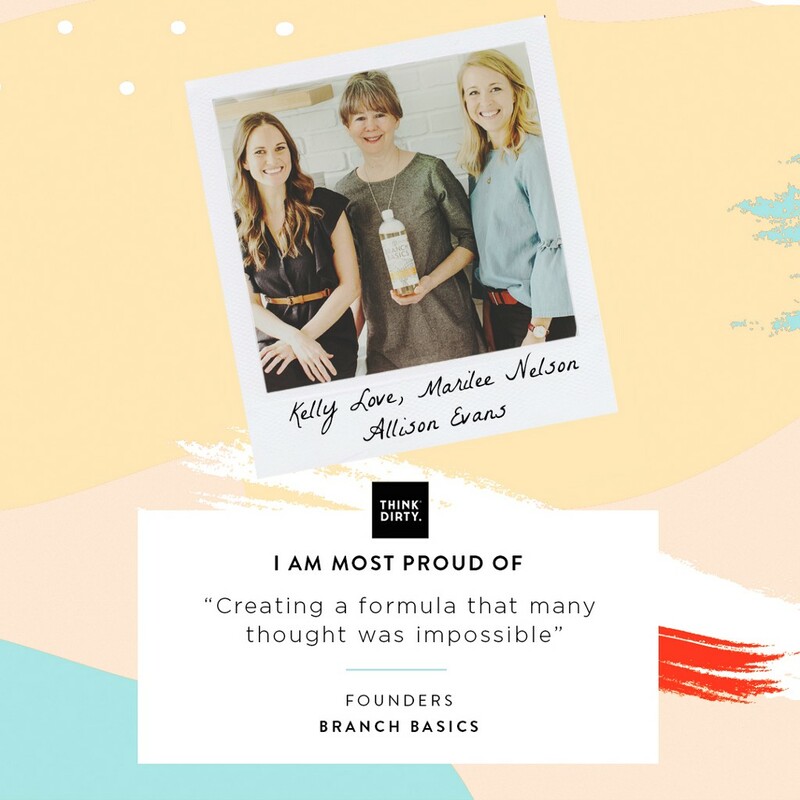 Branch Basics is our way to educate and inspire others to create a healthy home in hopes that they, too, could experience a transformation in their health and discover the body’s innate ability to heal if given the right food and environment. A day to inspire women of all backgrounds and walks of life by sharing stories of success, not just in business but in life. In being the best women, wife, mom, business owner, employee, student you can be. Creating a formula that many thought was impossible…truly safe and truly effective. My mother had breast cancer and was searching for a natural deodorant that would not irritate her radiated skin. During this same time, my two daughters were coming of age. These events inspired me to want to formulate a safe effective natural product that would not harm my loved ones. To me, it means recognizing and celebrating women for all of their achievements through history. It means being grateful that my daughters have the rights and freedoms to be the people they desire to be. Not giving up! My tenacity proved that my dream of owning and running a successful business could be a reality. The ingredients in traditional sunscreens can be harmful to our health and the environment. When we decided to bring our two children into the world, I wanted to keep our children safe from the sun without introducing their sensitive skin to harmful chemicals. Two Peas Organics was born from this inspiration. International Women’s Day is a great way to celebrate all the remarkable, inspiring and unique women in your house, community and around the world. I’m so proud of all of us! Summiting Mt. Langley last year. It was a great way to remind myself that you can accomplish anything you put your mind to. 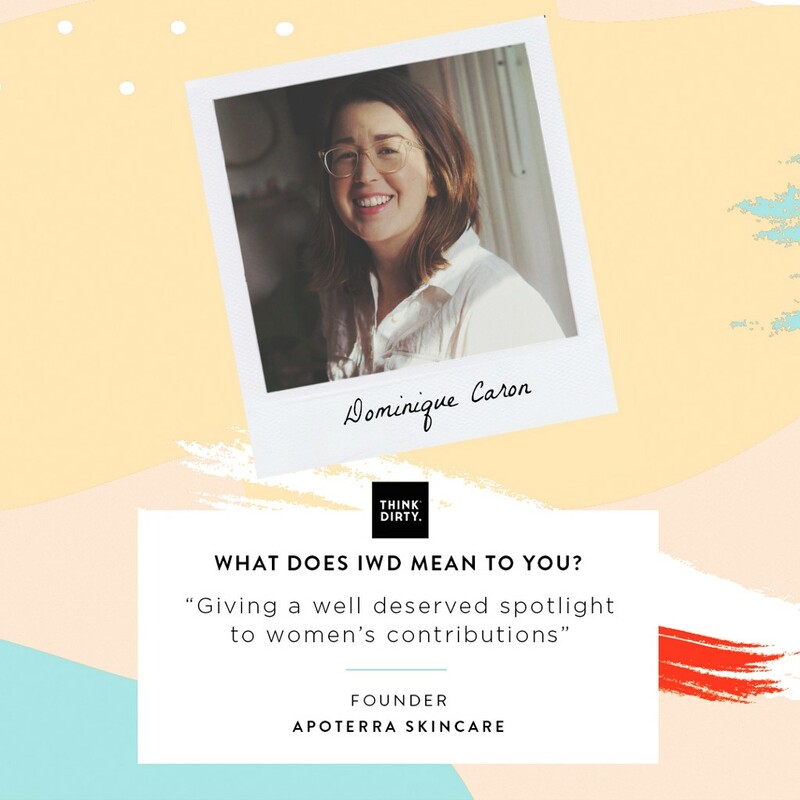 The mission behind Apoterra was inspired by a personal need — I was looking for skincare products that were safe, non-toxic, natural and eco-friendly and would work for dry, breakout prone skin. I couldn’t find anything on the market that met my needs and also fit my budget. Using my training as an herbalist and aromatherapist, I created products that worked and met all my criteria — and decided to share them with others. It is a day to give a well deserved spotlight to women’s contributions to this world, which are unfortunately too often unseen, unappreciated or credited to men. Raising my daughter, launching and growing Apoterra are definitely accomplishments I am proud of. 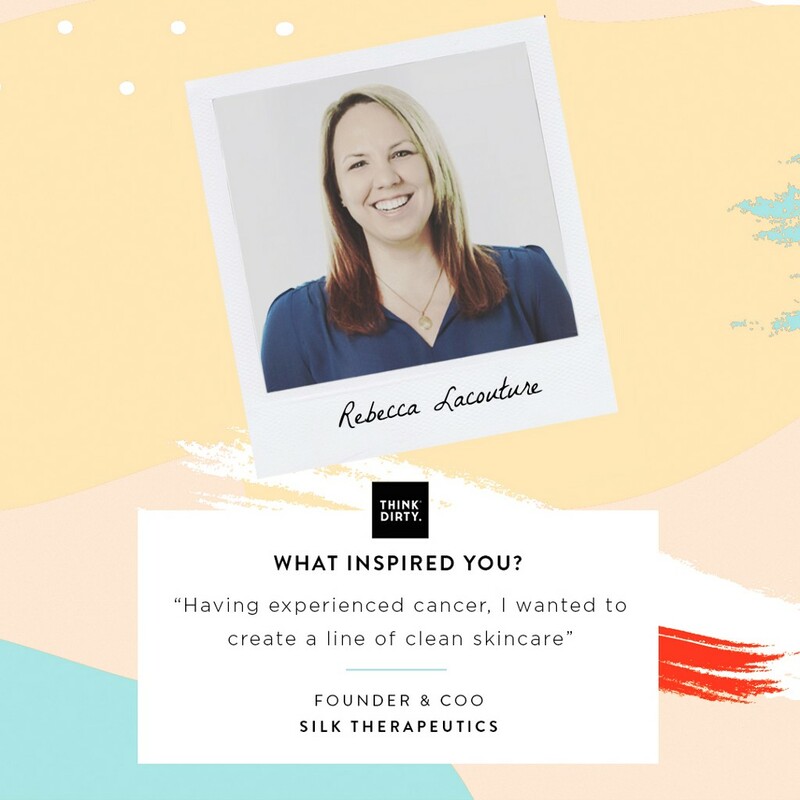 I was inspired to start Silk Therapeutics after working in the medical device space as a biomedical engineer and helping women that had been diagnosed with cancer. Having experienced cancer myself, I wanted to create a line of clean skincare that could be used confidently through all stages of treatment, even on the most sensitive skin. Further, I wanted to create products that women could use throughout their lives without concern of potentially harmful ingredients that could contribute to future health issues. 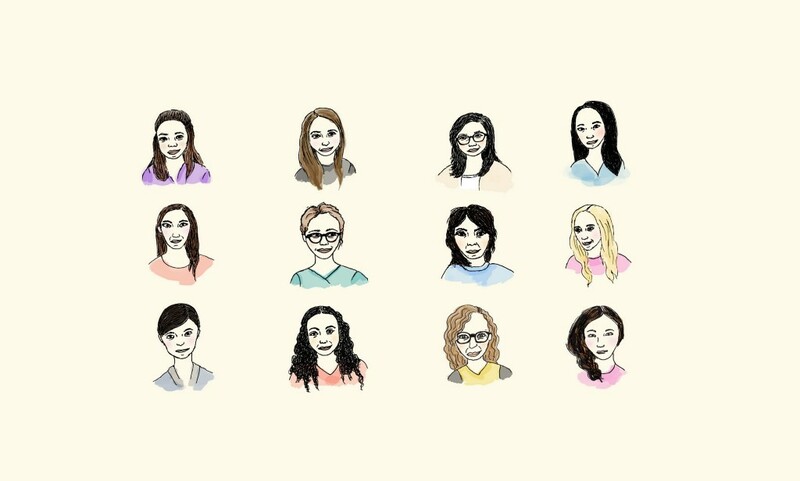 International Women’s Day highlights the contributions of so many women in fields previously dominated by men, while also being a time to remember how much further we have to go. Efforts such as our charitable mission to support STEM initiatives for girls and young women are critical to growing the population of women advancing the field. My proudest accomplishment is having my two sons — and knowing I could go through pregnancy using the skincare line our team created. As a women-led company, we’re incredibly proud to know that we’ve created skincare that’s available to others during vulnerable stages of health. 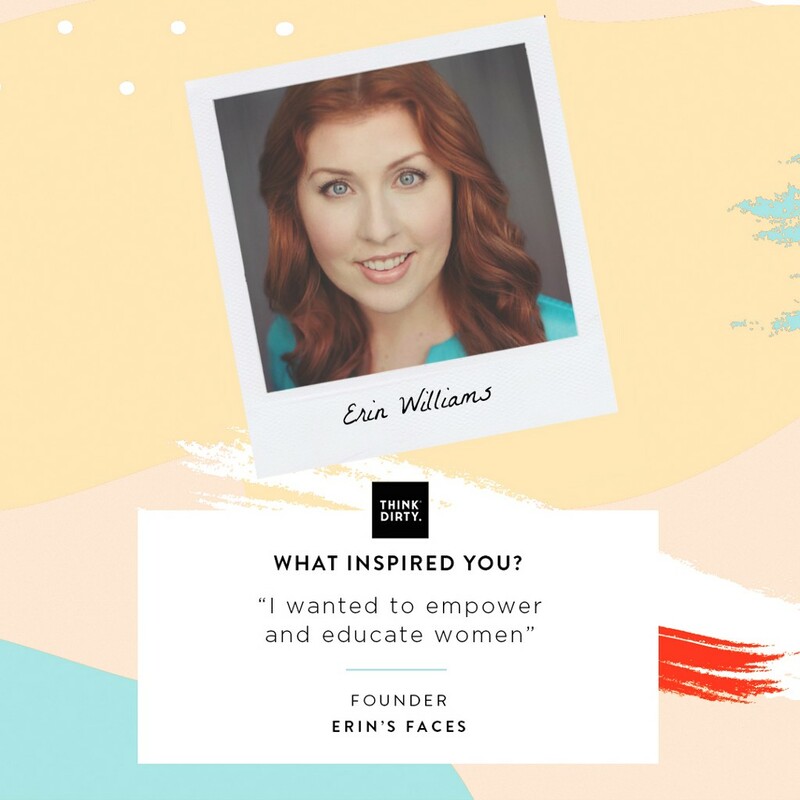 After years of working on shoots and red carpets as a makeup artist in NYC I wanted more purpose — I wanted to empower and educate women and Erin’s Faces allowed me to do that. It’s an opportunity to hold women up and celebrate their achievements and push for them to be even more “in the light”. Helping people — it’s what I felt I was missing and what I wanted — to be of service. And I feel like I really am with my company. 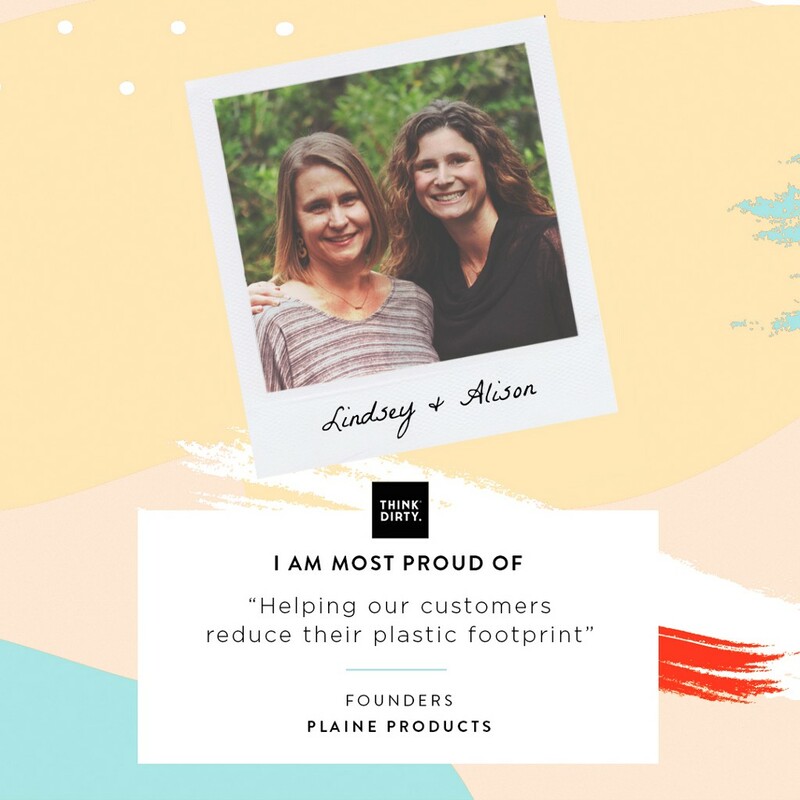 Founded by two sisters, Lindsey and Alison Delaplaine, Plaine Products began with a dream to have less plastic waste in the world. After looking around our bathrooms and realizing how much plastic we owned, we started thinking about how to change that, and how to make it easy for others to do the same. It’s wonderful to see women stepping up more and more to leadership positions. I truly believe, working together, we can change the world for the better. Raising awareness about the importance of using less chemicals in our products and our packaging. Providing safe, toxin-free products that help reduce our customers reduce their plastic footprint. Kosmatology started due to my youngest daughter Cameron’s eczema when she was 3 months old. As a pharmacist, I wasn’t comfortable using steroids on her young skin. I wanted to treat it more naturally. Using my compounding skills, I ended up creating what is now one of most popular products, the grapefruit lotion bar. It worked wonders for her skin and she has now been eczema free for 9 years and Kosmatology was born. International Women’s Day is a day to honour all the hard working women and celebrate their accomplishments. It is also a day to remember how far we’ve come for women’s rights and remember the amazing women who fought to make it possible. Starting Kosmatology with zero funding and showing my two daughters what hard work and grit can accomplish. My son inspired me to create Kiss Me Honey, when I caught him eating some of the toxic lip balms I owned. Not knowing these lip balms were nothing you wanted close to your lips, I started melting away in my kitchen! Women are stepping up in a huge way, International Women’s day means that we all stand up together and support each other. It’s a day where we all can notice the best in every woman. The one accomplishment I am most proud of is being a stay at home mom, running a small business, a household, and assisting my husband with his business. 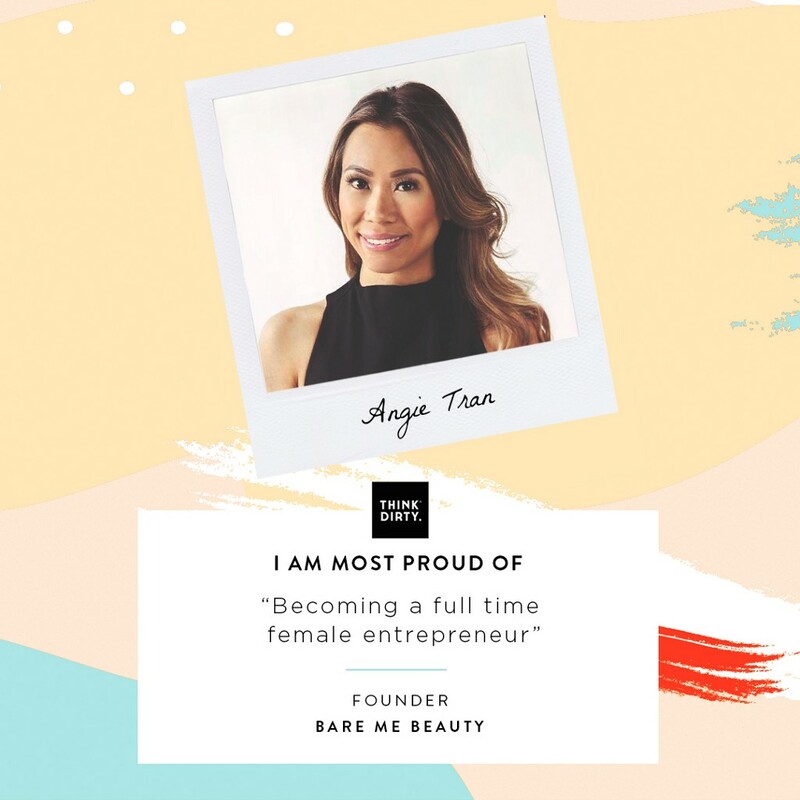 I founded Bare Me Beauty with the vision of creating safe, healthy products like sheet masks free of irritating and harmful ingredients. I wanted to be able to work on my own terms and create products and services people love. I also wanted to give back to organizations I am passionate about like the Toronto Humane Society. International Women’s Day is a day we recognize and celebrate women’s achievements from all over the world despite some of the ongoing challenges we still face today with gender equality. Becoming a full-time entrepreneur where I can work from home. Happy International Women’s Day! We hope you feel inspired and ready to conquer the world. Check out any of these brands for products to suit all the important, inspiring women in your life. 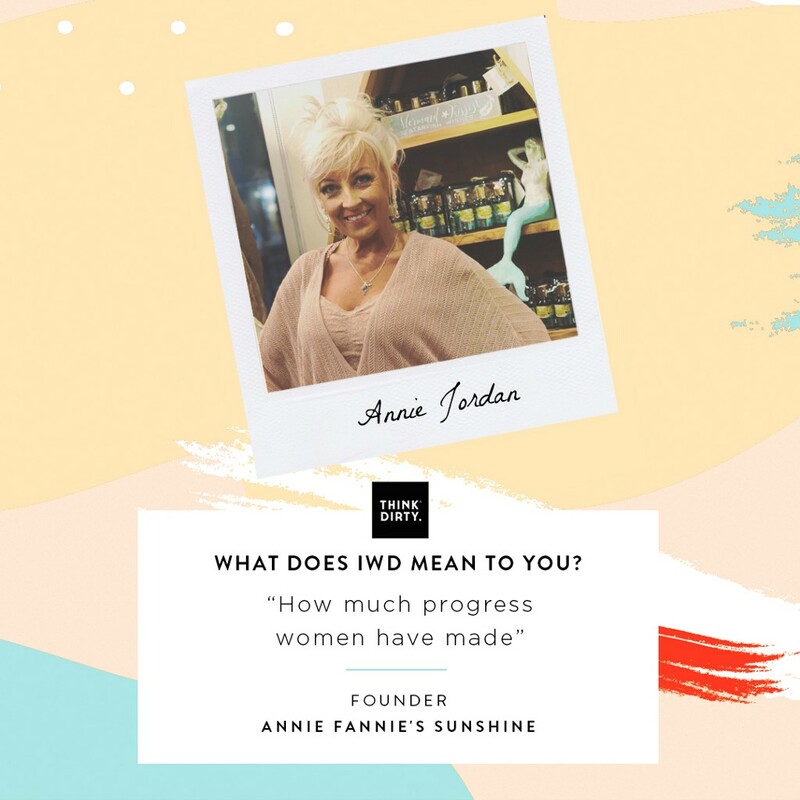 Celebrating Female Founders for International Women’s Day was originally published in Think Dirty on Medium, where people are continuing the conversation by highlighting and responding to this story.